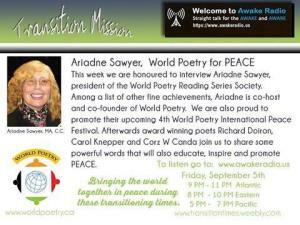 World Poetry Celebrates our Fourth Peace Festival with Awake Radio! 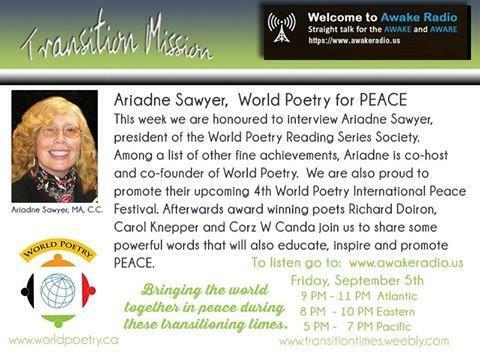 Featured: Carol Knepper, Richard Doiron and Corz W. Canda! 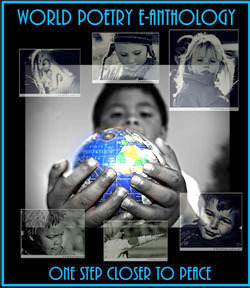 “World Poetry Lives! 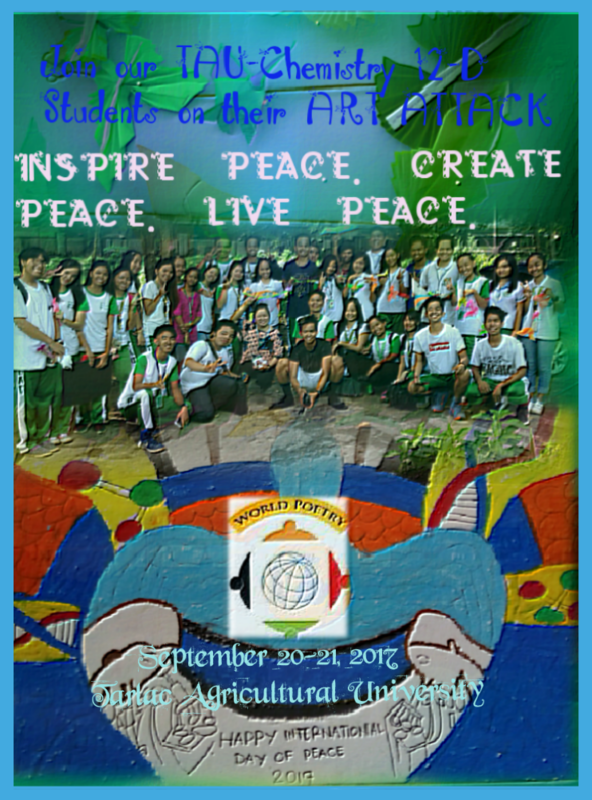 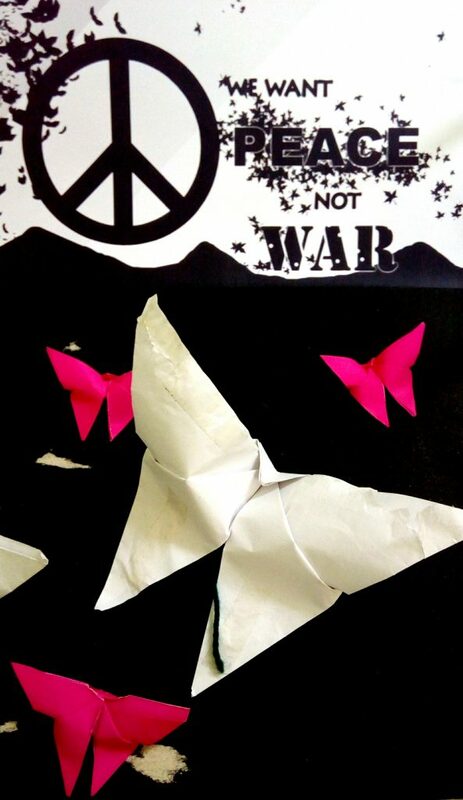 World Poetry gift peace poem! 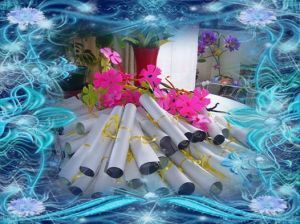 575 for the festival. 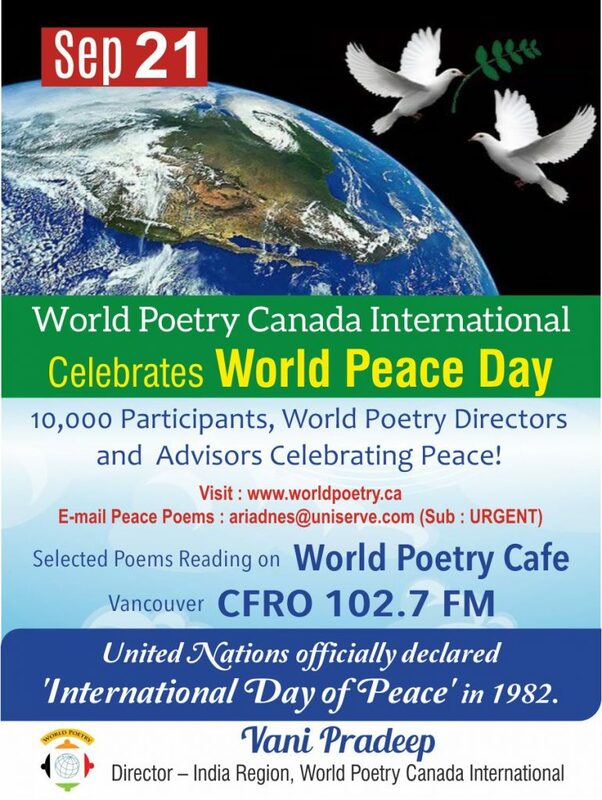 This entry was posted in General, World Poetry Canada International Peace festival and tagged Carol Knepper, Corazon Wong Canda, International Peace Award Ariadne Sawyer, Richard Doiron on September 5, 2014 by Ariadne.